I have been waiting and waiting for this beer for the longest time. I just anticipated it would show up some day as an extra or somehow land on my doorstep and a year later, nothing. There was something about this beer that apparently people want to drink it and not ship it across the country for free, weird I know. This is the final beer on the top 100 popular beers, so that’s also a milestone for me too. Anyway, randomly RatedZ just packed up two and shipped them to me, FOR NO REASON. The beer community’s generosity is getting out of hand. Bottled on 1/31/12, DRANKEN ON 2/23/12, the freshmaker. A: This is a beautiful beer and is certainly worth the hype in the old looks department, this dame is a looker. 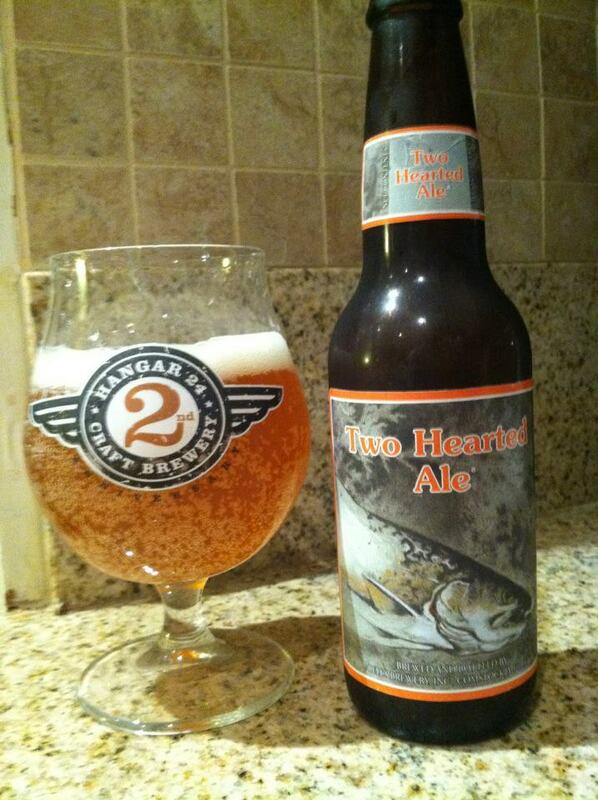 Not sure about the trout on the bottle, but the carbonation is NOT FISHY AT ALL. S: Hoppy citrus notes that feel like a westcoast throwback, super grapefruity, it hits the switches and lets the 5th wheel fall, mild pine scraper bikes are all up in the cut and supported by a mild honey but not balls out like Hopslam. The whole thing is a wonderful hop ghetto and I feel right at home. T: The taste is very muted and gentle and imparts a slight orange rind and chinook or simcoe sort of vibe to it. It tastes bright and cheerful like an amiable old barber that happens to smell like delicious Pine Sol. The whole experience is very mild and has that balance and coercion I have come to expect from Bell’s. The hops are integrated incredibly well and doesn’t assault the palate but instead goes for a classy Oscar de la Renta tux and a modest cumberbun. M: The wash of this beer is incredibly foamy and light, it begs for sessionability. The coating is very crisp like tongue kissing a cold pinecone covered in apricot juice. Don’t front, you’ve done it. Anyway, a very solid IPA and ranks among the best, no question. It isn’t the most offensive or gauche, but its strength is in its amiability and gentle repose. A nice hop hammock to fritter the days away. D: If you didn’t catch the clear notes above, this is likely the most drinkable IPA out there, Hill Farmstead notwithstanding. But I ride the HF jock like a 2 Live Crew video so let’s set them aside for now. This beer is a muted lupulin ninja that strikes and disappears in an herbal cloud. It’s a classy IPA that you can take to a play, give a smooch and not try and go all the way with. Also, this beer is not of age.